Location: Part of Hertfordshire, Hertford, England. Ownership / Access: Local authority. Not open to public. Notes: Hertford Castle was a Norman castle situated by the River Lea in Hertford, the county town of Hertfordshire, England. Only the gatehouse survives, and is a Grade I listed building. 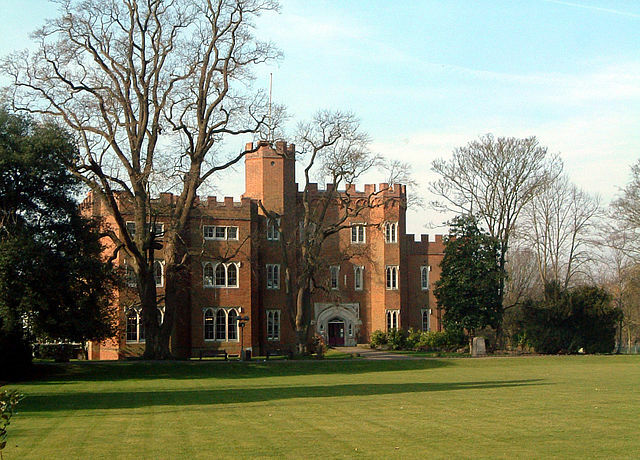 Hertford Castle was built on a site first fortified by Edward the Elder around 911. By the time of the Norman Invasion in 1066, a motte and bailey were on the site surrounded by a moat. William the Conqueror granted the castle to Peter de Valoignes, the High Sheriff of Essex and Hertfordshire.